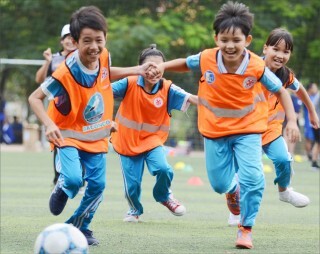 Results for "Football For All in Vietnam"
The "Cycling Out of Child Poverty in Vietnam" event has the participation of 50 cyclists from international organizations, COV organization, Indotrek Company, and HBI Company. At the meeting, Singapore Ambassador to Vietnam, Ms. Catherine Wong thanked the provincial leaders for the great reception for the delegation. 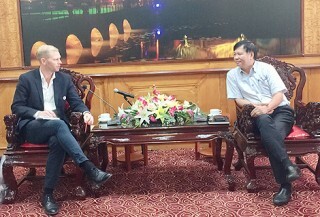 Mr. Anders Haseglgard and representatives of the Management Board of the “Football for All in Vietnam (FFAV)” project discussed some operation results of the project. According to the Tourism Department, CNN, a well-known media company CNN (U.S.A), has just voted Hue one of the 10 top beautiful tourist spots in Vietnam. 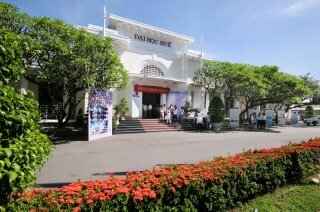 Hue University is in the top 10 in Vietnam for ISI-standard scientific researches. The workshop themed “Technology transfer in Vietnam – the situation and looking forward to the future” was held at Hue University on the morning of May 28. 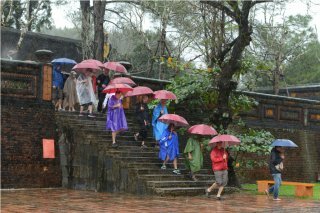 According to Tourism Department, TripAdvisor – the world famous travel website has just announced the vote of international tourists that Hue is among top 10 attractive destinations in Vietnam. 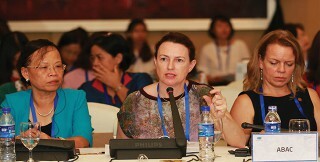 The "Guiding Principles for Gender in APEC" initiative of Vietnam has been highly appreciated by the delegates. 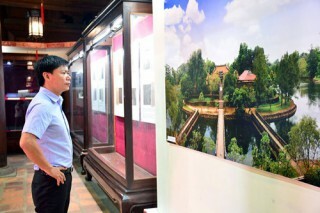 Tag: APEC 2017, joint declaration, women, economy, "Guiding Principles for Gender in APEC"
The opening of the exhibition entitled "Access to the world’s documentary heritages in Vietnam through the Nguyen Dynasty’s documentary heritages" took place on August 26th, at Van Mieu – Quoc Tu Giam (Ha Noi).